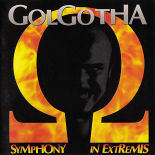 Over the years, there have been many bands bearing the name Golgotha. This site is dedicated to one such - perhaps even the first. Golgotha was part of the New Wave Of British Heavy Metal (NWOBHM) of the late 1970s and early 1980s, a movement that gave rise to such bands as Iron Maiden, Motörhead and the oh-so-successful Angel Witch. Originally from Stafford in the UK, Golgotha’s success culminated in the release of two albums on the London-based Communiqué Records label. Veering from metal, thru symphonic to neo-classical, Golgotha’s first offering was Unmaker of Worlds; the second, Symphony in Extremis. 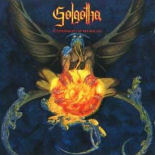 Golgotha’s CDs are still very much in circulation, as is the rare 12- inch vinyl release of Unmaker. A visit to eBay will reveal copies of the CDs, and the occasional cassette, trading between Golgothaphiles the world over. There are even people posting recordings of the band’s 1984 vinyl EP Dangerous Games on YouTube. Specialist record retailers are still dealing the recordings as far afield as America and Japan. We thought it an idea to use a chunk of internet real-estate to mark the existence of a classic British rock band. We have hard-to-find info about the band's music and its members, and give a nod to some of the other acts who have chosen the Golgotha name. See the links above? Enjoy the tour.